The Elantra GT is a popular hatchback at Tom Ahl Family of Dealerships. With the Elantra GT, you can choose between two trim levels that come with an abundance of features. Let's check out the features that come with the trim levels of the Elantra GT. The Buick name signifies comfort, reliability and great style. Those are all reasons that the Buick Enclave has become one of the most popular mid-sized luxury SUVs on the road today. The Enclave also has great performance features that truly set it apart from the competition. The Ram ProMaster certainly delivers everything a driver could ever want in terms of top-quality capability features. Check out some of the top capability features of the Ram ProMaster below. 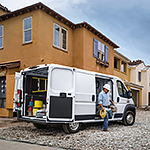 The Ram ProMaster has a maximum horsepower of 280 as well as a maximum torque of 260 pounds per foot. You can confidently tow up to 5,100 pounds of cargo in the Ram ProMaster. Also, the front wheel drive system of the Ram ProMaster allows you to easily back into and out of tight loading dock areas. Are you trying your hardest to find a pickup truck that you will love to own? 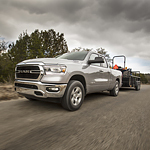 Have you taken time to look into the Ram 2500? This popular heavy-duty pickup truck offers the kind of exterior that you are looking for as well as many other features that you will appreciate. 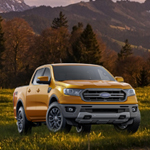 If you need a truck that you can rely on, take a look at the brand-new Ford Ranger. This new mid-sized pickup truck is built to last. It has a powerful engine that's engineered to provide you with impressive payload and towing capabilities. 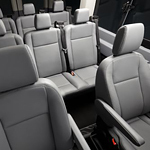 If you’re not already familiar with the many amenities of the Ford Transit Passenger Wagon, it’s time for that to change. The staff of Tom Ahl Family of Dealerships is pleased to offer this popular, full-size passenger van model, and we’re sure that you’ll like what you see when you take one out on the road for yourself. The Ram 1500 proudly rides on an off-road as a favorite pickup truck. Performance and style contribute to consumer enthusiasm, but. pickup truck drivers place value on safety. The Ram 1500 does present intriguing safety features. Here are some top ones. Hyundai has come a long way over the past few years. While this company has always been known to manufacture stellar, value-oriented vehicles, it is only lately that they have branched out into new technologies and pushing the limits of design practices. 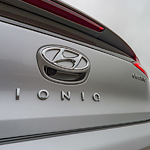 The all new Hyundai Ioniq is their entry into the hybrid market. 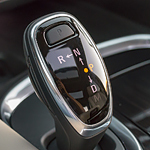 They are aiming to compete with the other big automakers to create a new lineup of affordable, safe, and environmentally friendly vehicles to rival anyone in the industry that we carry at Tom Ahl Family of Dealerships. We encourage our customers to learn a lot about the programs they can get involved in when looking for vehicles at Tom Ahl Family of Dealerships. 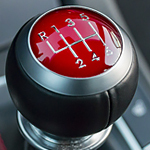 One of the programs that are worth reading up on is the certified pre-owned program. This program makes sure that the vehicles that are used are reliable before they are put on display.